Many years ago mum and I were National Trust members. 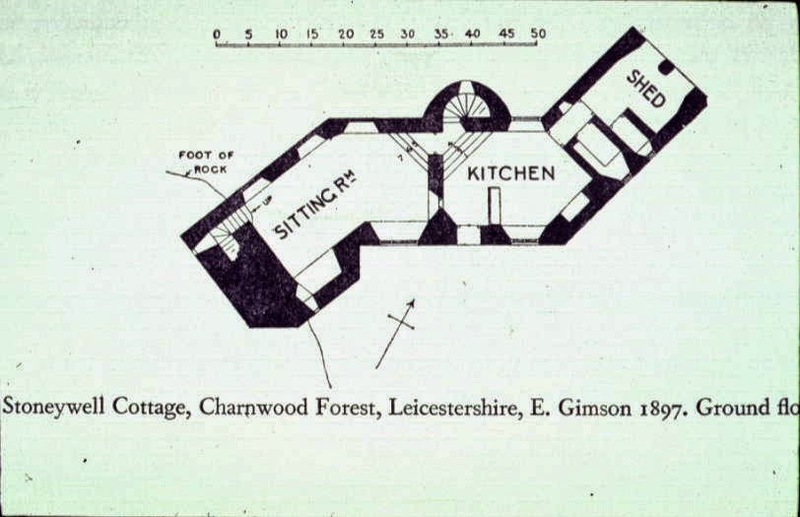 There was a special offer, I was studying History of Art including a module on the country house, and when it wasn't sunny enough to bask in a quiet corner of the car park or garden my mother liked the architecture too (back then she just liked the sun more). We spent a very hot summer in 1995 exploring as far away as Kent, eating a lot of ice cream, and setting the world to rights on the way but after that membership lapsed. Until this year Leicestershire has been a hole in the National Trust map - there are plenty of places about an hour away in neighbouring counties but there was nothing on the proverbial doorstep to warrant membership. 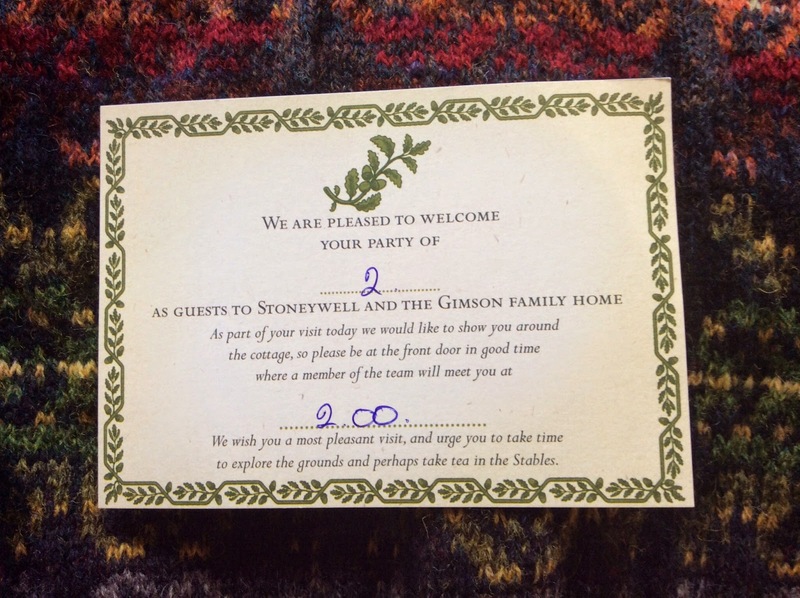 That's now changed with the acquisition and opening of Stoneywell Cottage a small (but perfectly formed) property in a fairly extensive garden. A trip to Stoneywell demands a certain amount of planning, you have to book ahead - this is mostly due to it's size. It was designed as the summer house of a well to do family and is most definitely a cottage. Access is via a guided group - there were 8 in ours which is probably the comfortable maximum. You book a slot in the car park (no shade, don't take a dog) get the shuttle bus (it's only a short walk but the neighbours like their privacy so made it a condition of planning consent that there would be no pedestrians) arrive at the stable block where you are presented with a welcome card and then led down the garden path. 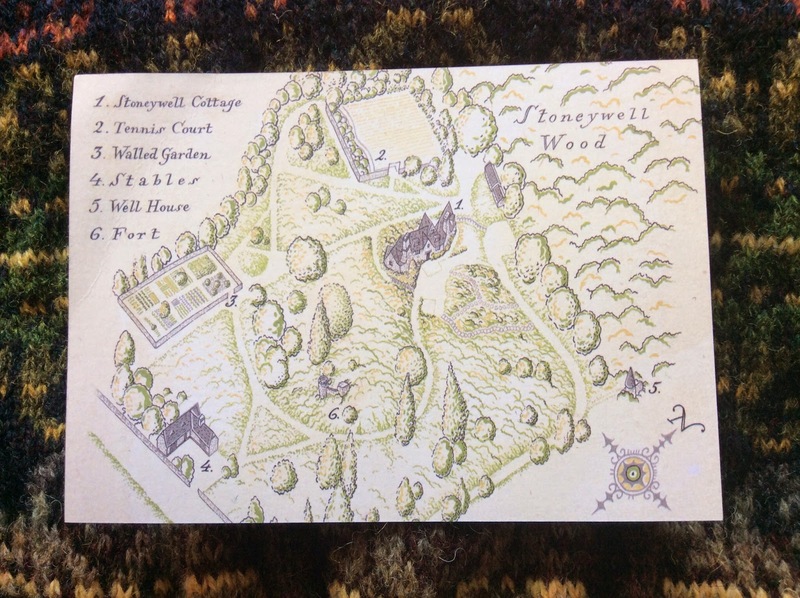 At this point I began to wonder where the cottage actually was - the path curves around the edge of the garden, the house hidden behind a rocky outcrop only reveals itself when you're virtually on top of it. 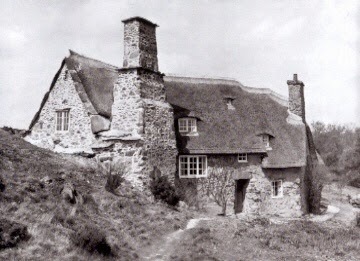 Designed by the Earnest Gimson (a good, but not household name, arts and crafts architect and designer) for his brother in 1898 Stoneywell is actually built into the surrounding rock. This gives it a wonderfully romantic fairytale feel and makes it very damp. At least in the heat of summer it would have been reliably cool. Because of the way it emerges from the landscape, and also the z shaped floor plan it's hard to gage the size of the place from the front. It looks small and curled in on itself, the massive chimneys and absence of straight lines say witches cottage - it's all very Walter Crane. Stepping inside intensifies the fairy tale feel. You go straight into what was once the kitchen and is now a dining room. Stone flagged floors, a massive fire place, odd nooks and crannies, and steps in every direction (nothing is on the same level) all add to the charm. Up a few stairs and you find yourself in a curving sitting room with windows in odd places and a tiny staircase cut into the hillside which takes you up to the first bedroom. The house was occupied by the original family until 2012 when it's last owner (now in his 90's) presumably decided he'd had enough of all the stairs and passed it on to the trust. His feeling was that the house had been in its heyday in the 50's so that's the era the Trust have taken it back to. Happily it came complete with a lot of the original furniture so it really is an Arts and Crafts gem. Outside it's only from the back that it's possible to get a sense of the size of the place - substantial 4 bedroom cottage - but as you move around it your perception of what you're looking at keeps changing. The gardens, including a wood currently full of bluebells, covers about 11 acres and looks like it will have plenty to enjoy in it throughout the year. Stoneywell really is like something out of a book, I don't think I've ever been in a place that felt so much like an illustration come to life. It must have made a wonderful summer retreat, and been equally hellish in winter (apparently the last owner kept his wellies by the larder door as it got to wet to go down there in slippers for his morning cornflakes). It is entirely worth visiting. 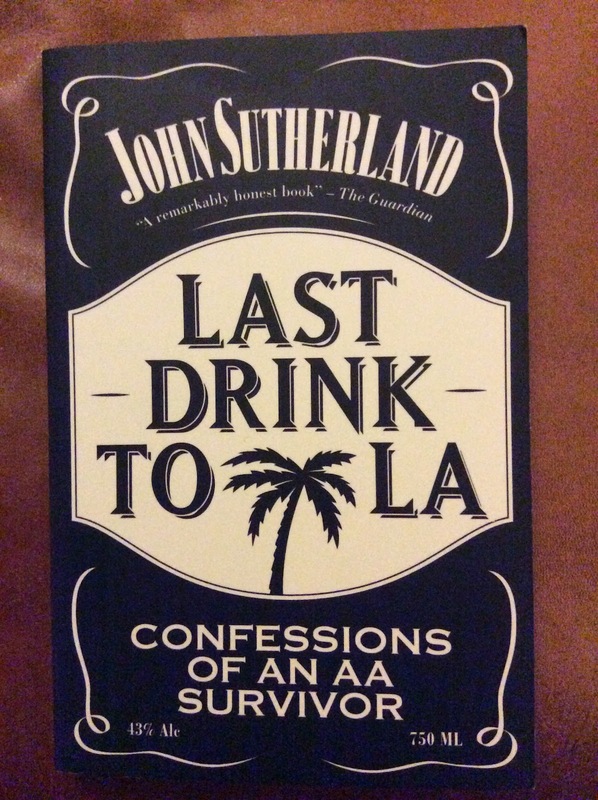 As a general fan of Sutherland's books I felt some trepidation about reading this one about his experiences and thoughts on being an alcoholic. I've never liked to know to much about writers I admire just in case they turn out to be total arses off the page. On the other hand I am interested in alcoholism. Or at least I'm very interested in our relationship with alcohol as a society, including alcoholism, because I make my living selling the stuff. Early on Sutherland talks about the modest estimate that 10% of the population are problem drinkers. One in ten bears thinking about for a moment. Statistically it's likely that you will have a problem drinker in your reasonably immediate family, amongst your friends, work colleagues, that one of your exes was a drunk, and so on. I can tick all those boxes from the habitually (and irritatingly) drunk at any occasion uncle down. It's not encouraging. The back blurb seems better at describing what this book isn't than what it is. It isn't a temperance tale, or a drunkalog, though in it's way I think it might serve as both. Rather it is a meditation (moving, and thought provoking) on thinking about drinking and the devastating effects it can have - which turns out to be as good a description as any - and is absolutely worth reading. Sutherland does describe his moment of clarity (as something of a wine snob I fear I was more shocked by his choice of drink for a final binge than the event that actually made him decide it might be time to stop) and it's a cracking story but perhaps because it felt like just that - a story, it was the least interesting part of the book for me. The reader would feel short changed without it; I won't deny I was curious to know what the tipping point was, but what will stick with me, what I find more disturbing, is the discussion of how dull sobriety can be for the problem drinker. It makes more sense of why it's so hard to give up something that will kill, along with causing humiliation and distress to the drinker and anyone close to them, and I guess it's the difference between that 10% and the other 90. I needn't have worried about reading this, as with everything else I've read by Sutherland it was as thought provoking as the jacket promised, amusing too in places, as well as occasionally shocking but in this case particularly it's the thought provoking bits that matter. We glamourise alcohol and heavy drinking, tolerate the cost it has on society, accept drunkeness as an excuse for otherwise unforgivable transgressions, and we really need to think about why we do that. Sometimes there is a recipe, quite often for something apparently simple, which you just can't seem to crack (when I say you, I hope I mean us, and not just me). One such defeat for me had been flapjacks. I've managed to mess up Nigella's version a couple of times and I find her so reliable that if I can't get a good result with her recipe it's sort of game over. The problem wasn't the flavour but that the dratted things just disintegrated which wasn't very pleasing. I made them and they were excellent, and then I made them again with some adjustments and they were even better. They are also basically flapjacks so as well as being full of oats, butter, and sugar, I'm also full of gratification at a job finally done. Take 150g of unsalted butter, 125g of soft brown sugar, 1/3 cup (or 115g) maple syrup, 1 tsp of vanilla extract, 1/2 teaspoon of cinnamon, and a 1/4 teaspoon of salt. Put in a saucepan and slowly bring to a gentle simmer. Meanwhile heat oven to 180 degrees, locate and line a 9 inch square cake tin, and measure out roughly 125g of pecans, 25g of pumpkin seeds, 50g of dried cranberries (the pumpkin seeds and cranberries are what I had hanging around, are not in the original recipe which calls for 150g of pecans only, and are obviously optional or interchangeable) and 170g of porridge oats (original calls for 150g but I figure spelt absorbs more liquid so a little extra was probably called for). Mix the dry ingredients into the syrup mix, spoon into the cake tin and bake for 30 mins or until the top is golden brown and going crisp. Cool, and this may well be the vital part, in the tin and then put in the fridge for a couple of hours or overnight before cutting. The results haven't disintegrated, are extremely filling - which is just as well given the amount of butter and sugar - and best of all its a recipe that can stand to be tinkered with. They also keep well in a tin for about a week. After a couple of years considering the Greyladies list I finally found a title I had to have. There have been plenty of these 'Well-mannered books by ladies long gone' that have sounded tempting but at just over £13 a copy for a paperback (including postage) it's the sort of thing I might well buy on impulse when it's in front of me but hesitate over when it's online and I've never seen one for sale. What Greyladies do (though I suspect most people reading this will already be familiar with them) is publish adult titles by children's authors of a certain vintage. As the product of a horsey sort of family (with a total inability to stay on one as well as a deep mistrust of the beasts - all very disappointing) I inevitably had some of Josephine Pullein-Thompson's pony books on the shelf as a child and remember loving them. Honestly though the motivation for buying this book was purely title based. My relationship with gin is an entirely positive one. Happily the Greyladies Site provides reasonably long extracts from their books as a taster so I knew I'd find this a reasonably fun read when I bought it but it turned out to be far better than I expected. The murder takes place in the heart of a hunting set, all very Horse and Hound, with the Master at odds with a rich young man who has his eye on buying into the hunt and sweeping off with the girl. Matters are further complicated by the fact that the Master is already married to the hopelessly alcoholic Clara so is in no position to object to the girl being swept off. Things all get a bit tense at a cocktail party and then the rich young man suddenly dies. The plot is clever, it's also believable, but what really makes this book something special is the portrait of a particular sort of world and the sympathetic treatment of Clara's alcoholism. First published in 1959 it feels like the action takes place a couple of years earlier. Youthful War time experiences may be increasingly distant but aren't forgotten, there are standards to be maintained, and complicated codes of honour to be observed amongst this horsey part of the county set. With the possible exception of the female 'partners' who live together with their horses and a lot of dogs (the exact nature of their relationship isn't entirely clear). All of the characters can still be found in a smart market town near you (certainly near me in rural Leicestershire) and whilst some of them might be elderly and anachronistic now I don't doubt my parents would recognise every one of them. My grandfather could have easily have had a walk on part. Meanwhile there is alcoholic Clara. It's a very good example from both inside and out of a woman quietly destroying herself with drink. There is the effect it has on the home, the determined efforts towards oblivion from the woman herself, and the isolation that comes from being a social liability. First time round, reading mostly to find out whodunnit, this was an entertaining way to spend an afternoon. What makes it worth the money and reading again is the clear sighted, non judgemental, portrait of a set of people it would be easy to caricature. They may be stereotypes but Pullein-Thompson gives them real life. It's a gem of a book. The RSC habit continues, we've now been often enough to feel confident that we can negotiate the massive road works (which baffle a middle aged sat nav) with ease, along with the inexplicable lack of sign posting for Stratford at key roundabouts (this might have been the first time we didn't make a detour to the outskirts of Coventry). 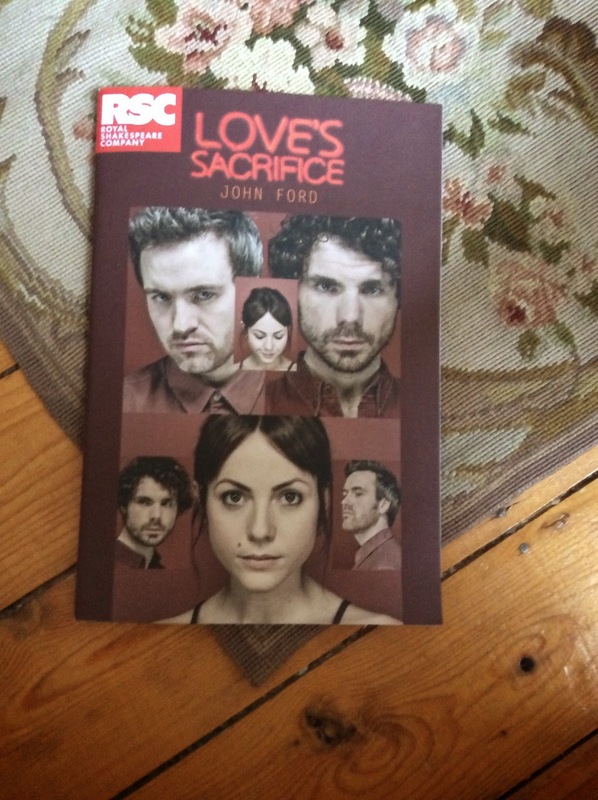 The play was John Fird's Love's Sacrifice which I'd done no research on before going. In theory I know that Shakespeare is marvellous but in practice I've found most of his plays that I've seen or studied hard work to engage with or whole heartedly enjoy. In turn that put me off his contemporaries and immediate succsesors for a long time but having made the effort to see some more of what's been on at The Swan a whole new world is opening up. Because I hadn't read the relevant part of the introduction by the time I got home the history of Love's Sacrifice came as a bit of a surprise. Despite being apparently well received when it was first performed it seems it may not have been performed again since - so not for almost 400 years. This production is the result of academic collaboration the to extend the repertoire through revival and rediscovery. Now I have read the programme, and a few stray articles online, I know that around 600 plays survive (I'm unclear as to wether this is specifically from Shakespear's time or within The Swan's remit of reviving plays from 1570 to 1750). Love's Sacrifice made it on stage after a series of workshops suggested it might be a winner. I think it is. It seems Ford is responding to Othello, and possibly a similar set of events where an Italian prince did away with his wife and her lover. The Duke of Pavy has married the beautiful, but not so well born, Bianca and so far they seem happy though there is the suggestion of some tension between her and the Dukes recently widowed sister Fiormonda, and then the Duke's best friend Fernando returns. Fernando catches the eye of Fiormonda, but he's already smitten with Bianca who he procedes to court. At first she resists him but eventually gives way to his charms and admits she loves him, and that he can have her body to do what he will with - but if she breaks her wedding vows she will kill herself. Fernando accepts this and so the couple settle for languishing looks and the odd kiss but Fiormonda and the Dukes secretary have begun to suspect the relationship and so motivated by lust and jealousy Fiormonda sets about poisoning her brothers mind against his wife. Eventually Bianca decides to consummate her love with Fernando at which point the Duke, most inconveniently, catches them (not quite in the act). What follows is the highlight of the play as Bianca, reasonably sure that she will die, taunts her husband who seems torn between a desire to forgive and for revenge. His sister pushes him to revenge and so Bianca is dispatched. Brutally. After that the body count increases with some high camp drama. Meanwhile there has been a sub plot where the courtier Ferentes has got 3 separate ladies pregnant and now refuses to marry any of them. Disgraced, insulted, and rejected the women gather together to plot revenge choosing to kill Ferentes during a court entertainment. Reactions to this are mixed but in the end the consensus seems to be that he had it coming. It's not impossible to understand why this play fell from favour and out of the canon. It's impossible to imagine a Victorian audience for example taking kindly to 3 unwed mothers not only getting away with murder but also getting relatively happy endings, and then there is the question of Ford's complacency about Bianca's prospective infidelity. Her position seems to be that having married with good intentions and in good faith, but then finding a man she far prefers should she be held to those vows? Fernando betrays his friend by propositioning his wife 4 or 5 times before she gives in and admits to returning his feelings which is hardly admirable behaviour - but then none of the men here are particularly admirable characters. Everything is driven by the women, and that makes it a fascinating play. The production itself is gorgeous, with rich colours, sumptuous fabrics, and a libral use of projections and music adding atmosphere. Whatever faults there are in the play (the last 20 minutes all go a bit crazy for modern sensibilities) Bianca and Ferentes murder scenes are transfixing- real genuine heart in the mouth edge of the seat, and tears in the eye stuff. Catrin Stewart is really compelling as Bianca and so is Matthew Needham as the Duke - so much so that it's possible to feel some sympathy for him as he murders his basically innocent wife in a particularly unpleasant manner. Sometimes it seems a play is never performed simply because it never has been. This one definitely deserves an audience - we came out the theatre thoroughly over excited and inspired - and what more can you ask for than that? I've been meaning to read Gissing for a while but had never quite got round to doing anything more than buying some of his books (inexplicably it turns out I don't have a copy of New Grub Street - this must change). His name last came up in relation to Zola and realism, but before then I associated him with Virago's edition of The Odd Women and assumed he would be something of a feminist. It looks very much like I was wrong about that. No matter how many classics I read it never fails to surprise me how little people, or even society, seem to change. The realism of 'The Whirlpool' reminds me a bit of those scripted reality shows (specifically Made in Chelsea). The protagonists belong to a class where working for a living is considered distinctly none U and to be avoided. The idea of a woman working is vaguely scandalous. Appearances must be maintained regardless of the cost and without regard to practicality or comfort, and money is a constant worry as expenses constantly threaten to eat into capital and so diminish income. Harvey Rolfe is a bachelor in his late 30's, perfectly satisfied with his life and the £900 a year (equivalent to roughly £100,000 in today's money) that he currently enjoys, all the more so because in his youth he ran through a limited patrimony and had to work hard to live. His friend Hugh Carnaby has recently married a remarkably beautiful woman - Sybil - who has a fortune roughly equal to his own, they have around £1800 between them of which we can assume every penny is spent. Then there is Alma Frothingham, daughter of a wealthy speculator, Sybil's dearest friend, and an object of some interest to Harvey. These four are destined to make each other spectacularly miserable. When Alma's father goes bust and commits suicide he leaves both his daughter and Sybil penniless, and the ripples of the crash carry on bringing misery and disaster to more of Harvey's circle. He in turn shows himself to be a decent enough man, first in casual but sincere acts of generosity towards those of his acquaintance who most need it, and then in offering Alma the safety of marriage. The Alma the world, and at first the reader, meets is an attractive girl in her early twenties with a passion for music. As the story unfolds she is revealed to be shallow, vain, without real talent and in every way a bad wife and mother. Harvey finds himself trapped in a relationship based not on the love he had imagined he felt but on a physical attraction which slowly diminishes. For both Harvey and Hugh marriage is a personal disaster. Read something of Gissing's own terrible marriages and the antipathy he displays towards these women makes some sense. Alma's vanity, specifically her need for praise, is a deeply destructive force. 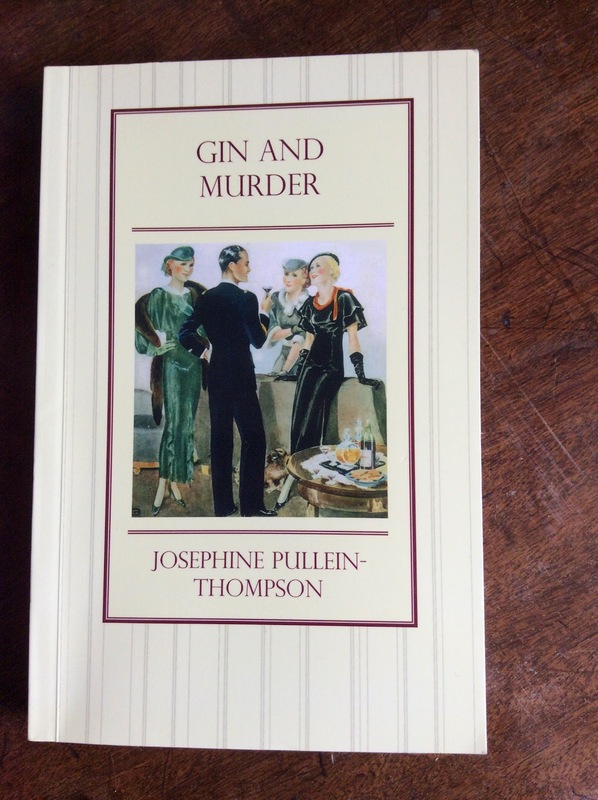 Sybil's determination to be maintained in luxury indirectly causes the death of one man and the imprisonment of another - and of course the women's relationship deteriorates into enmity. What fascinated me however is seeing how Gissing's prejudices cloud his judgement. Neither Alma or Sybil are attractive characters, though Sybil as the cleverer of the two manages to get away with her misdemeanours. Her guilt is inferred though never explicitly stated but she is ruthless when it comes to getting what she wants. Alma is less lucky. There is a physchological depth to the character which saves her from becoming a caricature so eventually Gissing's antipathy encourages the reader to feel some sympathy for Alma. She's deeply flawed but Gissing declines to examine the deficiencies in women's education, or the constraints society placed on them, both of which would go a long way to explaining why she is what she is and his vision of the perfect wife and mother isn't terribly encouraging either. All of which makes this exactly the sort of book I love. There are 3 suicides, a murder, indecent proposals, blackmail, intrigue, and scandals all of which ensure 'The Whirlpool' is a real page turner (on which note - although it's almost 500 pages long in this edition the print isn't tiny so it was a surprisingly quick read). Underneath the more sensational aspects is a serious examination of bad marriages, human nature, and society generally all of which gives the reader plenty to think about - including that insight into Gissing's own opinions about women. To escape the books I went to the theatre last night (Love's Sacrifice at the RSC - brilliant) which made me want to sort out all my old programs, which led to opening up The Trunk where things go out of sight and out of mind. After an hour and a half I'd sifted through 15 years worth of old birthday and Christmas cards. Many from people I really don't remember. They're going but all this sorting is getting out of hand so I've retired to the kitchen and contemplation of Anne Shooter's 'Sesame & Spice'. I've had this book for about a month now so writing about it is somewhat overdue - I blame the urge to get organised (which normally disappears quite quickly, but not this time). 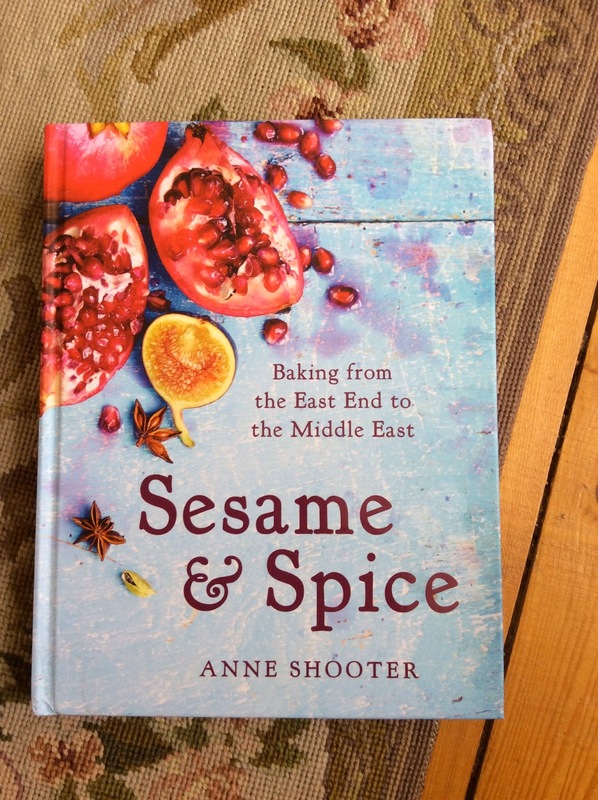 I was attracted to it by the tag line 'Baking from the East End to the Middle East' and the pomegranates on the cover. My family mock me for my love of pomegranates as an embellishment to just about anything but they'll come round eventually... I'm also a fan of sweet things, but increasingly it's the kind of sweet that involves fruit and nuts. Cakes rich with ground almonds and soaked in scented syrups, baklava's, sticky concoctions filled with dates and prunes, and plenty of cinnamon, cloves, nutmeg, and cardamom- all flavours and textures I love. A book that promised Middle Eastern inspired baking sounded like a winner. It is a winner, and also much more than I expected or hoped for. What I hadn't initially realised (from the cover - it's clear the moment you start reading) is that Shooter's heritage is Jewish which means her food references span Europe and and America as well as the Middle East. It's a rich heritage and one that resonates with me based, as I am, in the middle of Leicester - a city that's been described as the most multi cultural in the world. I don't know if that's actually true or not but there's certainly a good argument for it. Leicester was a Roman city, the Vikings made it here and left their mark in place names, and it now has an ethnic majority. Basically we've been absorbing different influences and cultures for millennia. The first recipe I tried was for the really delicious Citrus lavender syrup cake (it was also the bake that made me realise my old oven had to go) it was nutty and tangy and altogether good with the lavender providing a subtle twist that transformed it into something really special. 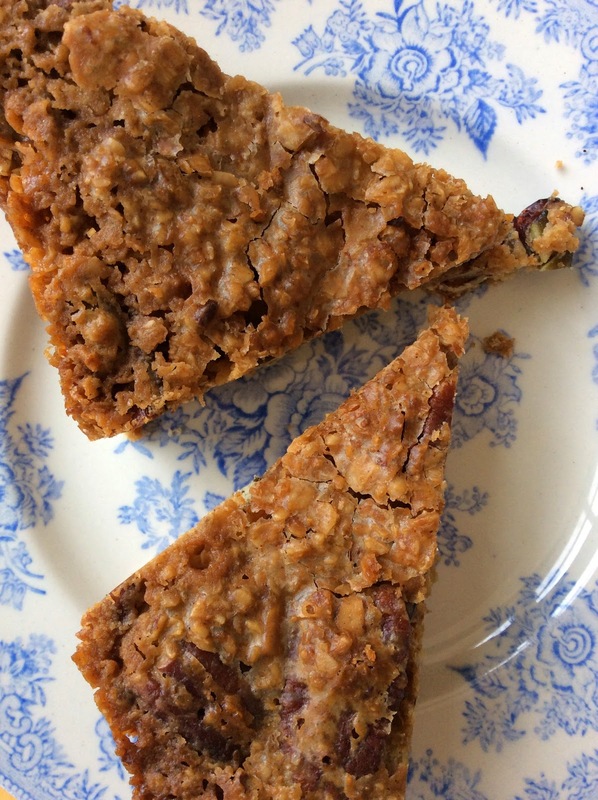 The second recipe was for a spiced date loaf which is fat free and wonderful in thin slices with a cup of tea. Obviously it's possible to have to many baking books - even when you're a keen baker - but this one definitely earns a place on my shelves for it's combination of practical recipes and exciting flavours. It's a really nice mix of tradition from Shooter and what feels like innovation to me but very much in tune with the city I live in. Chicken recipes for every day and every mood. A couple of years ago I made a short lived effort to rebel against the ubiquity of chicken on the menu but quickly accepted defeat, it's not just that it's hard to avoid, vegetarians excepted everyone seems to like it, most especially children who are otherwise fussy. 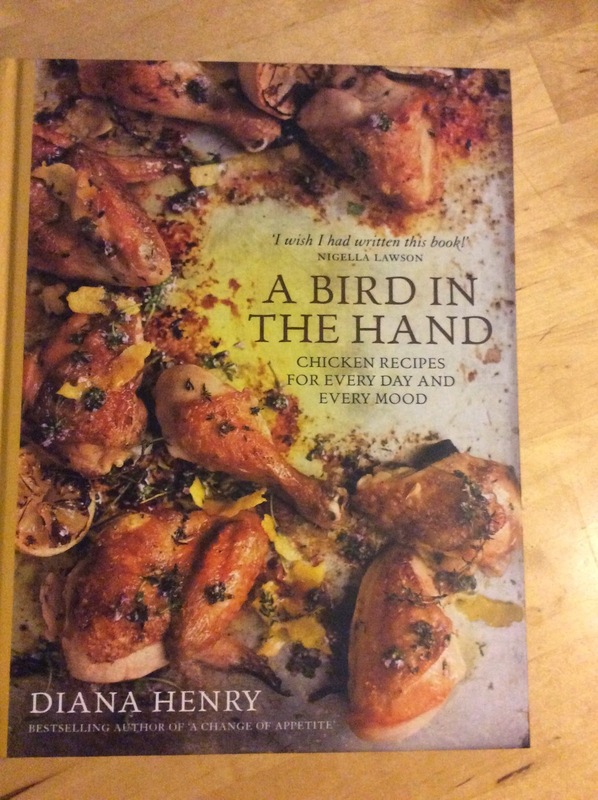 If I can't escape chicken (though I could try harder to do that) I can still look for variety in the way I cook it and Diana Henry is very much the writer to help with that. 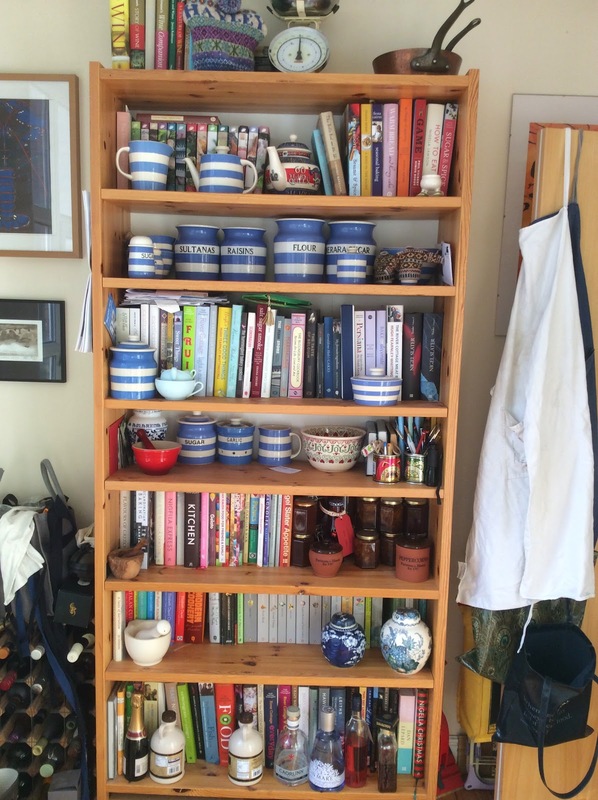 Her books reflect the way I like to cook and the way my kitchen works; there are things to potter over, that will impress, that can be thrown together after work with a minimum of fuss, that will use up leftovers, and perhaps most important in this case - things that satisfy a desire for variety. As Henry says, cooking chicken is basically easy and there's no reason to complicate it, so whilst there is advice on braising and roasting it's kept to a minimum, and she's also made the decision to dispense with many of the obvious classics - they're easy to find elsewhere. Instead what we get is a really useful compendium of chicken recipes taking inspiration from around the world and which should meet every occasion. As well as the actual recipes - broken down into sections that cover suppers, spicy chicken, Sunday lunches and posh dinners, salads, feasts, barbecues, comfort food, and left overs - there are also short essays on how chicken loves fruit, cream, citrus, and herbs all of which open up avenues for experiment without the need for specific instruction. There is a foodie complaint about the majority of chicken on the market - that it lacks flavour, but in so far as that's the case it's also why we all love it so much. Quick to cook, and happy to be dressed up in so many different ways there's much to be said for it. The only downside, and the reason I made that half hearted attempt to resist, is welfare. Cheap chicken probably hasn't been treated very well. When it's a whole bird the range in price can be startling (it surprises me at any rate) and certainly serves as an indicator of how it was treated in life. It should matter how the things we eat have been produced - but I'm inclined to get carried away on this subject so will leave it at that. In the end this is the sort of cookbook that you pick up thinking why would I need this and end up thinking oh, I definitely need this (which happens to me a lot). Having a recipe suitable for any mood or occasion Is great, but as ever with Diana Henry's books, her voice is the clincher. I really enjoy her writing on, and approach to, food. Each book she releases has become an eagerly anticipated event to be counted down towards on my a****n wish list. 'A Bird in the Hand' is an excellent addition to the collection (and I've already bought a second copy to give to a friend). 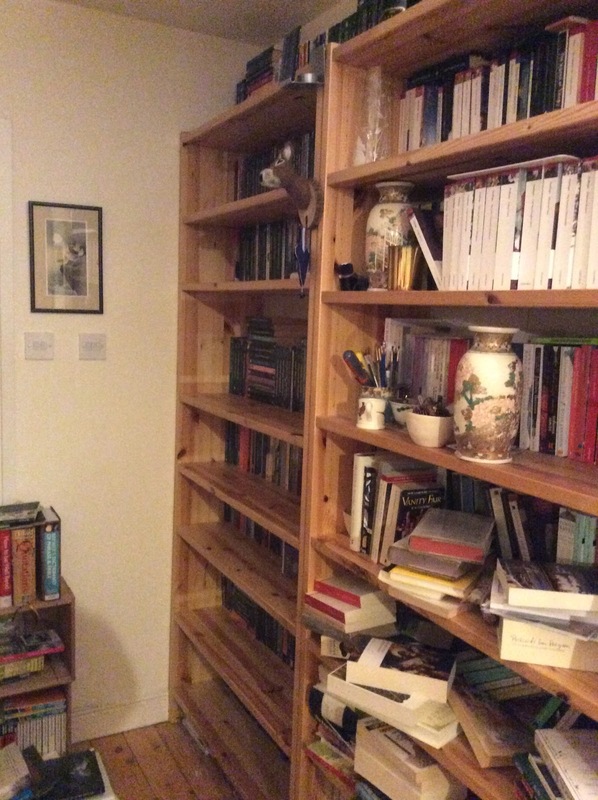 I've managed to weed out just over 300 books so far and got all the overs back on shelves, or wine boxes pretending to be shelves. Just. Looking at the pile of books to go I can see exactly why I was beginning to feeling overwhelmed by them. I have a small amount of space for new ones now, but it is a small amount of space, so basically all of the 300+ that will go were hanging around in increasingly precarious piles on top of things. It's really no surprise I couldn't find anything. In truth I'm a bit frustrated that this hasn't created more space, it has created a lot of dust - or at least redistributed dust that had been minding it's own business and was conveniently out of sight up until now. My original aim of at least 500 books going will now only be achievable if the pruning gets really aggressive - I could easily have dumped the lot by midnight last night when I finally got the last book off the floor - but I probably need to step back before I over do it. This shelf still needs some work. But these below are pretty much sorted. And I'm happiest of all with the kitchen ones. The fifth edition is now online and Shiny New Books is celebrating its 1st birthday. I'm proud to have contributed something to every edition, and maybe a little surprised that I've managed to be so organised. My contributions can be found here for Gretel and the Dark by Eliza Granville. I really loved this book when it first came out in hardback. Apparently it didn't do quite as well as hoped which is a real shame - it's excellent and well worth seeking out now it's in paperback. 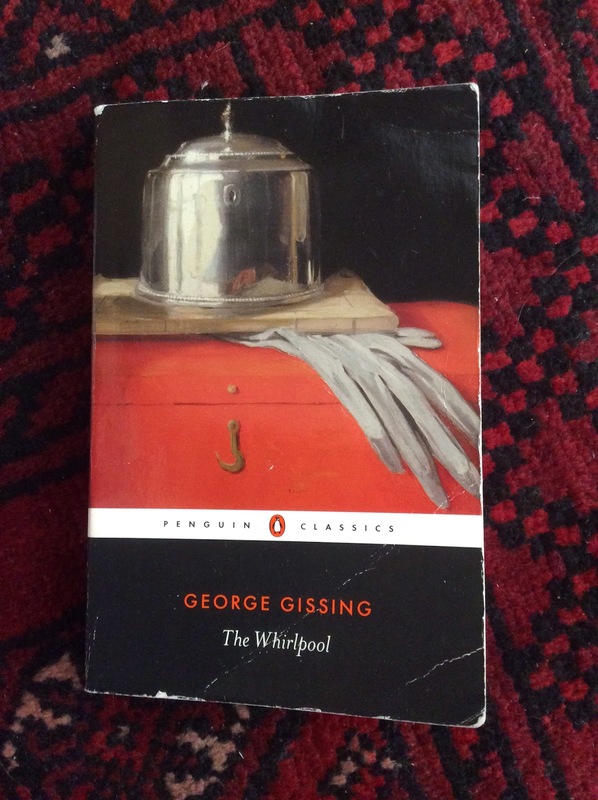 There is also this about George Gissing's The Whirlpool which is not only very good but is also a much quicker read than the 400+ page count suggests! This has been an unsettling year so far; there have been deaths in the family - personally distant enough for me to be mostly philosophical about them but also close enough to be an uncomfortable reminder of what the future inevitably holds for all of us. Combined with spring, (an unsettling time in itself) it's making me assess what really matters to me and crave change (not something I'm normally keen to embrace). 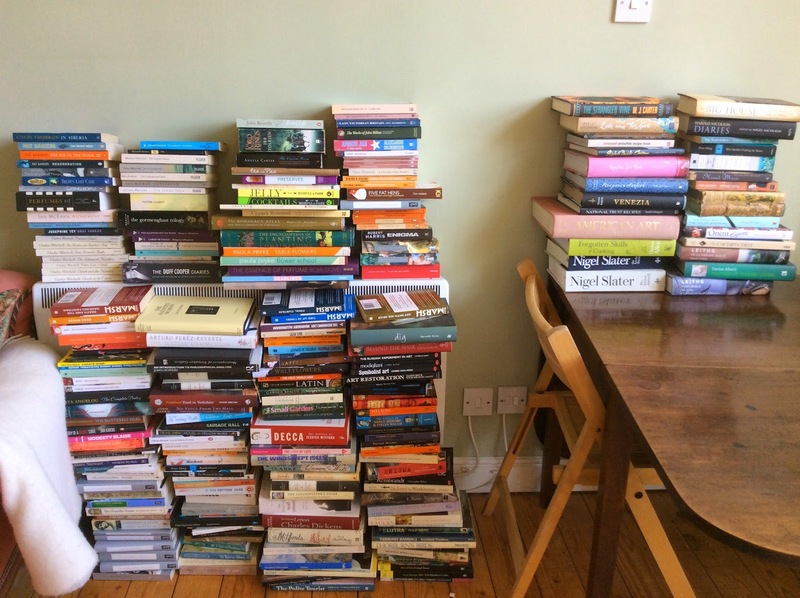 Short of a wonderful opportunity dropping out of the blue and begging to be seized the kind of change I want will take time to achieve but one thing I can confront immediately is the way books have taken over my flat. I love being surrounded by books but given my limited. Living space they've gotten totally out of control, they are everywhere. When I pulled out my weekend bag, unused for a month, to stay with my mother over Easter I found a Waterstones bag of books I'd already more than half forgotten about. 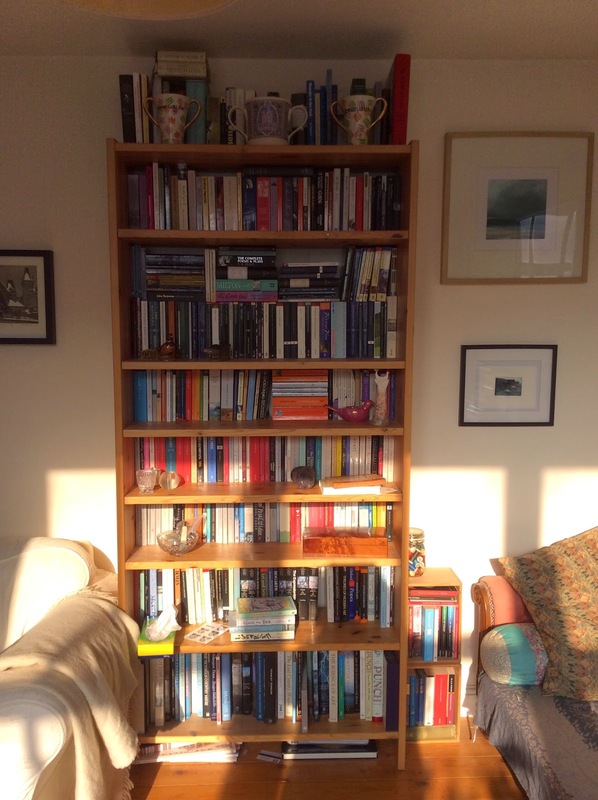 There are books in every corner, on every surface, in bags, in the bathroom, under, on, and above their shelves. It's impossible to find what I want, overwhelming to consider the amount that are waiting to be read, and all very, very, dusty. With all this in mind my mission for today is to clear out somewhere between 500 and a 1000 of them. That would be a maximum of about a third. Whilst I write this I'm looking a a substantial pile of about 250. Already I can't imagine where they went - for such a big pile it's made very little impact on the shelves and I'm running out of easy choices. These books are ones I've read, ones I realise I will almost certainly never read, old textbooks from undergraduate days, cookbooks I simply don't refer too (which I would love to keep but they take up so much space which could be better used by books I will use), unsolicited review copies that are creating pressure rather than pleasurable anticipation... Those, and a few which have been gifts are causing the deepest pangs of relative guilt but that helps nobody. It was easy to discard what felt like yards of Mitford letters, Noel Cowards letters, the diary's of Duff Cooper and Harold Nicholson - all fascinating and amusing, none of which I've seriously read in the many years I've had them. Gardening books have mostly gone - I don't have a garden of my own, rarely read them, and am much more the sort to plant and see than properly plan. Besides they no longer reflect the sort of things I want to grow, for that I have a collection of River Cottage handbooks. 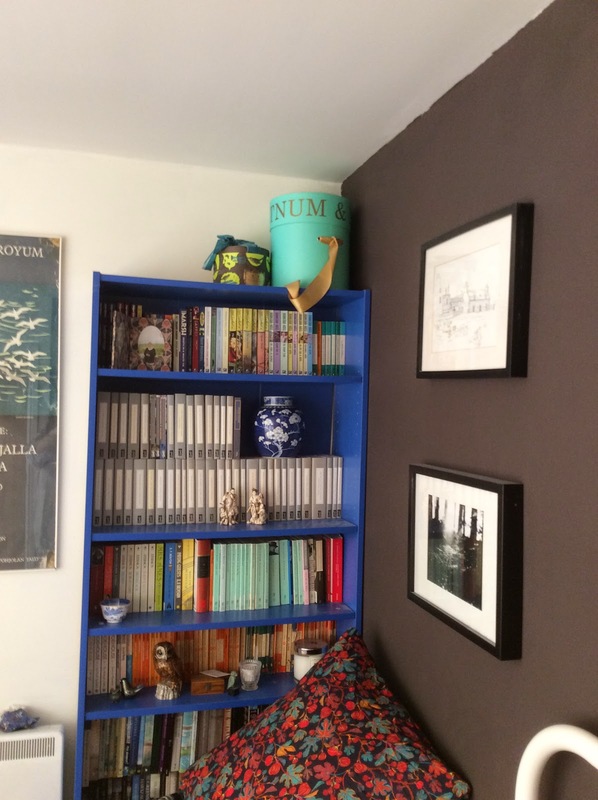 This isn't about de cluttering, I'm much to acquisitive to ever successfully do that, but whilst my mind has turned to gardening it feels more like having a good pruning session for the stronger growth of my personal library. 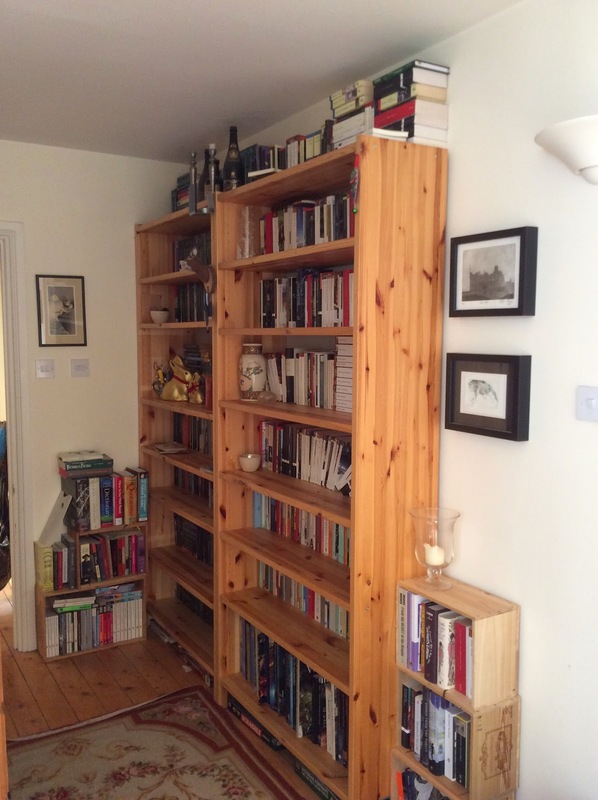 What will be left are books that work better together, which don't threaten to bury me in a cascade of paper and obligations, and hopefully a flat that resembles a home more than a warehouse. I've visited quite a few whisky distilleries over the years (something like 30 - if you like holidays in relatively remote parts of Scotland they're a handy place from which to enjoy the weather) and each one has deepened my enthusiasm for a good single malt, but until last week I'd never made it to a gin distillery. 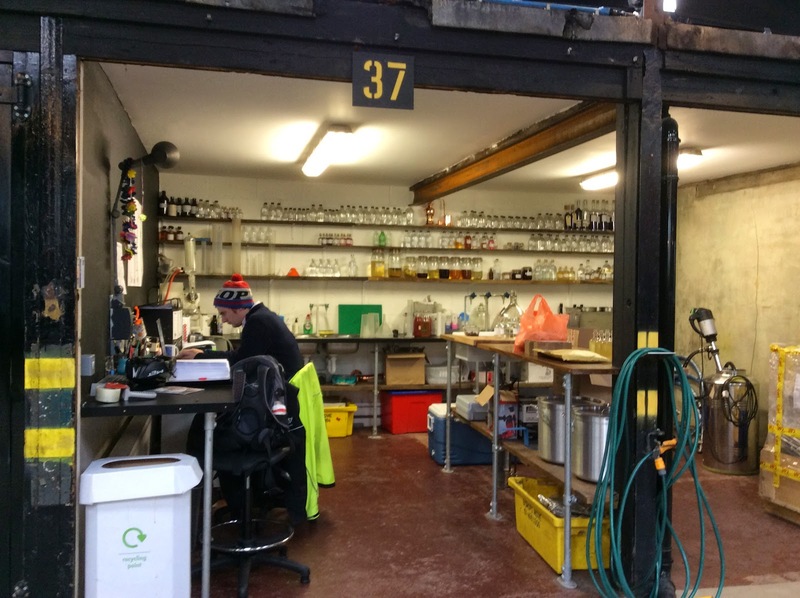 After years of thinking that it's something I'd really like to see I finally made a pilgrimage into deepest Chiswick and had a look round Sipsmith's distillery's new(ish) and expanded premises at 83 Cranbrook Rd courtesy of a work organised trip. Sipsmith's aren't a huge brand but they're available nationally through Waitrose so altogether the most surprising thing for me was just how small their set up is. They started off even smaller in what was originally an average sized looking garage on the side of a house (albeit one that had been a microbrewery before hand) but even now operations are carried out from something essentially the size of my dads big shed (it's quite a big shed, but even so...) what I couldn't see, and we were to big a group to get the chance to ask, was where the grain that starts the process is mashed but as at least one award winning gin (Sacred gin) is made in the relative comfort of its distillers home I'm guessing that this too can happen on a very domestic scale. It's hard to express how exciting it was to realise just how small an operation could be viable - though it does go a long way towards explaining how so many new brands keep appearing. A brief explore via Google suggests a copper pot still would be more affordable than I imagined as well. Not cheap, but potentially under 6 figures so theoretically it would be possible to learn how to distill, sell my flat, hijack dad's shed, get a licence, and go into business. 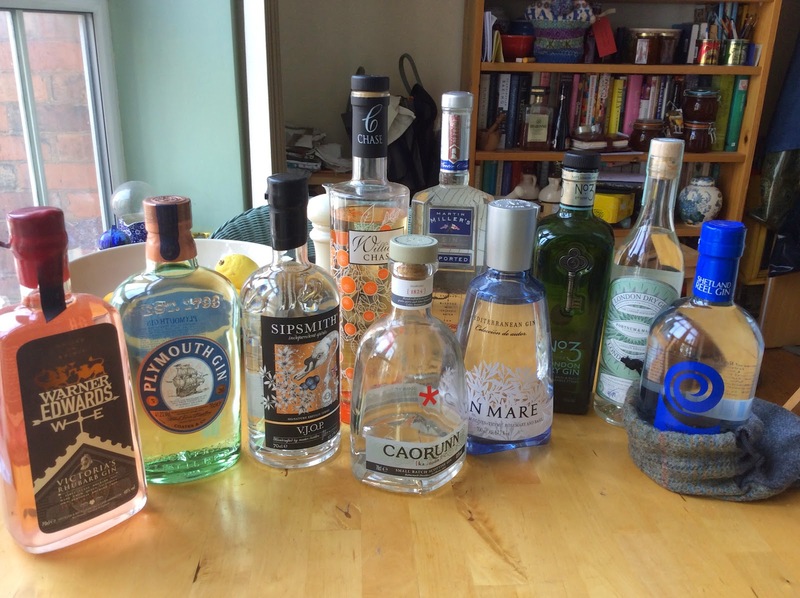 Given that when I started out in the wine and spirits selling business 16 years ago you might expect to see half a dozen different gins on the shelf (Gordon's, Beefeater, Bombay, Tanqueray, a premium own label, and a basic one) plenty of people are clearly doing just that. A quick count at work totalled 40+ different bottles, from producers of every size, the other day. My own gin collection. Please note how many bottles are still unopened! Back in the late '90's this gin renaissance would have seemed hardly credible. As a relatively young gin drinker at the time I was an exception, it's image was most definitely dowdy, but with hindsight gin's current popularity isn't surprising. The combination of a colourful history, a product that can be endlessly tinkered with for new variations, and the potential for artisan production is a marketers dream. Returning to Chiswick, the Sipsmith story is the perfect illustration for what's been happening. In 2007 a couple of guys already involved in the drinks trade thought actually making a London gin in London might be a good idea (it's a style rather than a geographical indicator). After 2 years and a change in the law they managed to get a licence and a still named Prudence. The range has expanded to include vodka (same process no botanicals) a gin based summer cup, and damson and sloe flavoured versions. They are big enough for that aforementioned national distribution but still small enough to be able to play around with their product and have some fun with it. It's probably also worth mentioning that it's really good gin as well. Smooth enough to drink neat (should you wish) and therefore perfect for very dry martini's it also has enough character to make a really good gin and tonic, as well as behaving impeccably in a range of cocktails. One of the most successful tastings I've ever done at work was with a recipe suggested on a Sipsmith's bottle for a cocktail called a white cargo, apparently a 1920's invention at the Savoy. It's basically equal amounts of gin and quality vanilla ice cream shaken until thoroughly blended. Personally not for me but customers mostly loved it, and it does hark back to the late Georgian/ early victorian habit of infusing gin with cream and sugar. Finally, as this post has basically turned into an extension of my day job, if you think you don't like gin it may well be tonic water you're not keen on - try a gin with a lot of pepper or lime in its botanical mix (Opihr or Tanqueray Rangpur are good) with ginger ale instead - and on that note it's worth getting the best quality mixers as well. If you're spending between £30 and £40 on a bottle of gin it's a shame to drown it in half flat, cheap, tonic that mostly tastes of sweeter when you can have something like fever tree instead.